Mindful Design Consulting Newsletter (July 2011) Are You Ready To Franchise? Welcome to our July 2011 design newsletter! When you started your business, did you ever think about franchising it? Did you know that one of the fastest ways to make money in just about any business is to franchise it? I asked a few questions about franchising to a local San Diego franchise development company owner Dave Waldman on how to franchise a business. Read on to learn more! 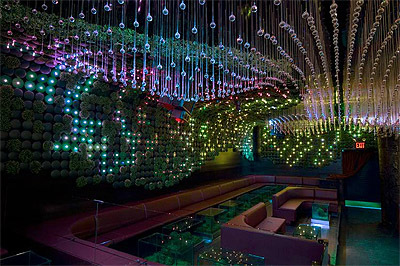 In our Green News corner, take a look at the beautiful design of the first LEED certified Nightclub in New York! I found The Franchise Maker company when I was trying to learn more about Franchising. Dave Waldman and I became good friends and referral partners as I started learning more about what it really takes to franchise a business. Now I help Dave's clients to brand their physical locations. I decided to write about Franchising because I work with a lot of clients who are trying to open up multiple locations and who are looking to brand their companies. The next logical step in growing these businesses is to franchise... but what does it really take? If you missed our last newsletter on personal branding, look HERE. Dave, how do you determine if a company is a good candidate to franchise? Are there any prerequisites such as age, revenue, size? - Legally speaking anything can be franchised, even an idea. However we believe a business must be in operation for at least one year before they think about franchising. After all, entrepreneurs purchase a franchise because it is a proven business model... something out there that is already working (proof of concept.) So it kind of goes against all logic to franchise a business that does not have some type of proven track record. Besides being in operation, the business must have something unique and different about it. We ask a number of questions when we talk with business owners that help us determine if their business is scalable or if it even makes sense to franchise it. Just because a business can franchise does not always mean they should franchise. It is also good to know that it is not necessary for business owners to have several locations in order to start franchising as most businesses launch into franchising with only one location in operation. Do you franchise only in CA or nationally and internationally? - We specialize in domestic franchising only (all over the United States). The neat thing about franchising is that it is regulated by the Federal Trade Commission (FTC) so it is federal. This means that once the guidelines are met a business can franchise not just in their home state, but nationwide. 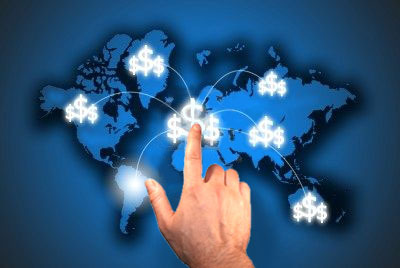 We do not work on international franchising. 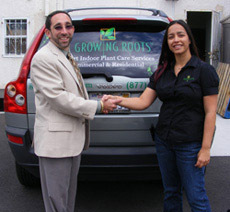 Franchise Maker Dave Waldman with his client Growing Roots. Learn more about Dave's clients HERE. - We are a franchise development company, so that means that we take businesses through the entire process to franchise. From start-to-finish we have everything under one roof. 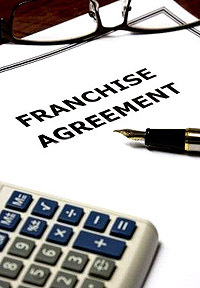 Franchising can be a complicated and confusing process that includes setting up entities, trademarking, determining the franchise structure, defining the franchise relationship, preparing the franchise disclosure documents, filing, registration, preparing audited financial statements and several other pieces that involves various attorneys. We draft all documents in-house, work with clients to define their complete franchise structure (rather than just give them a 50 page package to fill out) and work directly with different attorneys to keep ensure their piece is completed on time and on budget. Bottom line is that we not only prepare the necessary franchising documents but quarterback the entire process. To see some of the Franchise Maker's clients from the last 7 years click HERE. How long is the process to franchise a business? - The process to franchise can take a little as 90 days. The neat thing about our franchise development program is that it is customizable. The quickest is 90 days however our program is geared to work at our client’s speed so they can still run their business while evolving into their role as a franchiser. Other variables that affect timeline are registration states and how available the client is to go over material. How fast after the franchising process do your clients start selling franchises? - Right away!… It’s not unusual for our clients to award their first franchise in as quickly as three months once they are able to offer franchise opportunities. And we’ve had several clients that have done that, and everybody loves when that happens! Depending on the concept, it is best to for our clients to have a goal of awarding 3 to 6 franchises in the first year they start offering franchises. That means 3 to 6 franchises up and running. Just in the last couple of years we have seen a lot of our clients beat that goal and end up awarding multiple franchises in multiple states. 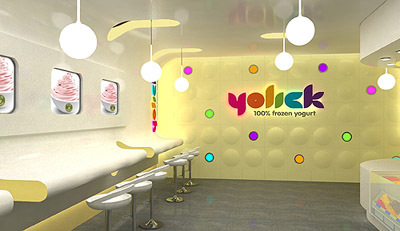 Our project hi-light for July is Yolik yogurt shop in Shanghai, China. Greenhouse Nightclub is the first LEED certified nightclub in the US. For those who don’t know what LEED is… Leadership in Energy & Environmental Design. Read more HERE.